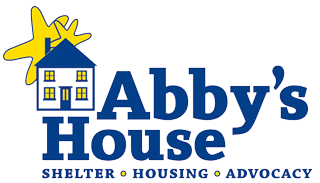 An easy way to help the women and children of Abby’s House is to donate an item on our needs list. If you are looking for more information about making a donation to our Thrift Shop, please visit our Thrift Shop page. Donations of needs list items can be dropped off at our location on 52 High Street in Worcester, Monday through Friday from 9:00 AM – 4:30 PM. If you have any questions about making a needs list donation or would like to organize a needs list drive, please contact our In-Kind Donation Coordinator, Jean Anger at gro.e1556159756suohs1556159756ybba@1556159756naej1556159756 or 508-756-5486 x227. Please note that we are unable to accept donations of furniture and used baby/children’s items. Every purchase you make through Amazon Smile benefits Abby’s House! *Your donation of gift cards not only allows us to purchase much needed supplies, but also enables us to give out gift cards to women who need help purchasing groceries, gas, minutes for their phone, or household necessities. *When you donate supplies, we are able to save money, allowing us to invest more in our programs for women and children.